Greenwood Orthopaedics is fortunate to have physician assistants whose experience and caring makes them a welcome addition to our staff. 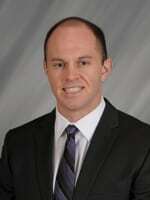 Meet the physician assistants who work closely with our orthopedic surgeons in Indianapolis. Kelsey Julian is a physician assistant certified by the National Commission of Physician Assistants, and she is a practicing provider with Dr. Kevin E. Julian of Greenwood Orthopaedics. Kelsey received her undergraduate degree from Butler University and received a master's in physician assistant studies from Butler University in May 2010. Kelsey completed her training with clinical rotations in orthopedics, general surgery, internal medicine, pediatric endocrinology, emergency medicine, OB/GYN, family medicine, mental health, and pediatrics. Kelsey joined Greenwood Orthopaedics in 2011. 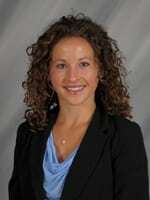 Kelsey is a member of the American Academy of Physician Assistants and the Indiana Academy of Physician Assistants. She served as the vice president of the Butler University Physician Assistants class of 2010, and was honored as a 2009 Butler University Top 100 Outstanding Student. She was selected by the National Physician Assistants Foundation in 2009 to serve in a program focused on developing tomorrow’s physician assistant leaders. Kelsey, a native of Columbus, Indiana, was raised on a farm and currently lives in Indianapolis. She is an avid runner and was previously involved in basketball, track, and cross-country. She enjoys continuing to help out on the family farm. 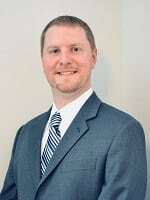 Josh Mills is a physician assistant certified by the National Commission of Physician Assistants and a practicing provider with Dr. Kurt R. Martin of Greenwood Orthopaedics. Josh completed his undergraduate work at the University of Southern Indiana and at Butler University. He received his degree from Butler University in 2013 and received a Master's in physician assistant studies from Butler University in May 2014. Josh completed his training with clinical rotations in orthopedics, general surgery, internal medicine, pediatrics, emergency medicine, OB/GYN, and family medicine. He joined Greenwood Orthopaedics in 2014. A native of Greenwood, Indiana, Josh grew up locally and attended high school at Heritage Christian School in Indianapolis, where he participated in varsity athletics in both football and baseball. Jimmy Arms is a physician assistant certified by the National Commission of Physician Assistants, and he is a practicing provider with Dr. Kevin Julian of Greenwood Orthopaedics. Jimmy completed his undergraduate work at Ball State University and received a Masters's Degree in physician assistant studies from Samuel Merritt University in Oakland, California in 2009. Jimmy completed his training with clinical rotations in the following: Emergency Medicine, General Surgery, Internal Medicine, Family Medicine, Pediatrics, Geriatrics, Cardiology, and OB/GYN. Jimmy joined Greenwood Orthopaedics in 2017. He practiced previously in Emergency Medicine in California. He is a native of Southern Indiana and attended high school in Spencer, Indiana. He was a member of the Marching Band. Jimmy is an enthusiastic golfer and an IU, Ball State, Colts, and Pacers fan. He enjoys DIY projects, baseball, and football. When he is not working, he loves spending time with his family.